In order to avoid being blown offshore and thus delaying arriving in Hobart Town, the master decided to enter the torturous D'Entrecasteaux Channel between Bruny Island and the Tasmanian mainland. At about 9.15 pm that evening George III hit a rock and over a period of several hours broke up in the heavy swell. The convicts were kept below to allow the women and children to be safely evacuated by the ship's boats. The guards fired their guns in order to quell rising panic; this gunfire is believed to have killed between one and three of the convicts. Many others drowned below decks, including many of the sick in their beds. In all, 133 lives were lost in the disaster, of whom 128 were convicts. An inquiry refused to ascribe blame for the disaster. The disaster did, however, result in renewed efforts to accurately prepare nautical charts of the Tasmanian coast so that mariners were warned of its many hazards to shipping, and the tightening up of regulations concerning provisions for the transport of convicts. Parish of Pedder, lot 195,500 acres, Peter Fraser. Baker's Rivulet, lot 196, 500 acres, James Lucas. 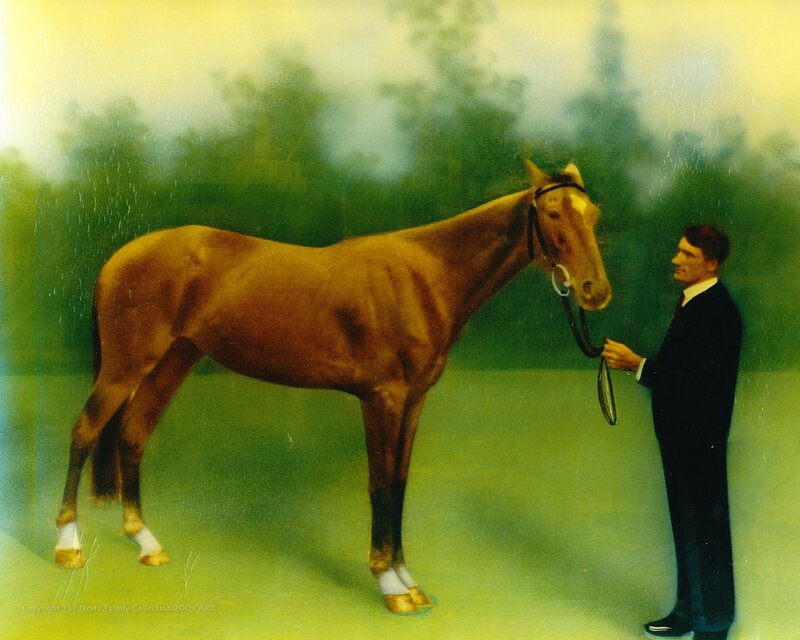 Reef Point, lot 197, 500 acres, Edward Goldsmith. Source; Colonial Times (Hobart, Tas. 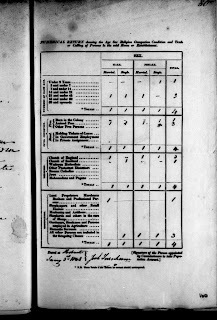 : 1828 - 1857) Sat 23 Jul 1853 Page 3 SURVEYOR-GENERAL'S OFFICE. The exact location of Reef Point in the Parish of Pedder, county of Buckingham, in the south east of Tasmania around the city of Hobart, the D'Entrecasteaux Channel and Bruny Island areas, is not clear from original documentation. Three 500 acre lots - Lot 195, Lot 196 and Lot 197 - were leased to Colonial Treasurer Peter Gordon Fraser; Derwent River pilot James Lucas; and master mariner Captain Edward Goldsmith respectively. Being sequentially numbered, these lots must have been adjacent. The three lots may have been located around the Surveyor's Bay area to the west of the Channel across to Tinderbox Bay on the east where Mt Louis overlooks the D'Entrecasteaux Channel, and by association, near Point Louis, both mountain and point presumably named after the French cartographer-surveyor Louis de Freycinet who first entered the Channel sailing in Le Naturaliste together with Baudin in Le Géographe on 13 January 1802. They surveyed around the Channel for more than a month before sailing north. Port Louis was where James Lucas was posted as a Derwent river pilot from 1829 to June 1853 when his land grant of 500 acres was gazetted. 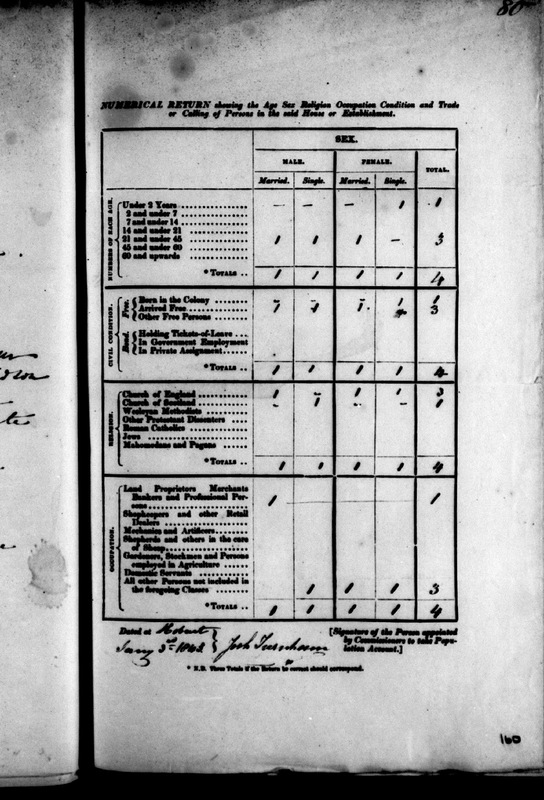 His job as a pilot was to board vessels, assume control, and log details of the ship's arrival, including the ship's date of sailing from the port of departure, the ship's weight, owner and place where built, the ship's master and crew, the cargo, the number and names of passengers, number of cannon, the ship's draught and weather conditions as they entered the narrow passage en route to the port of Hobart. 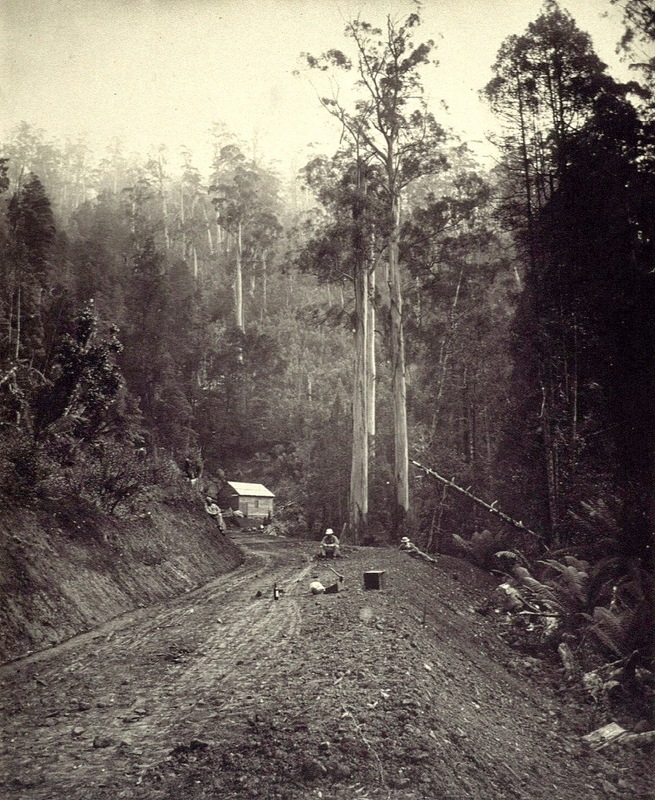 When Captain Edward Goldsmith leased 500 acres of Crown Land for "grazing purposes" in 1853 at Reef Point in the Parish of Pedder, the lease would have served at least three purposes whereby he profited from his extended stay in Tasmania while ashore during 1853-1854: the felling of blue gum timber (eucalyptus globulus) for ship building; marine salvage of wrecks along the D'Entrecasteaux channel reefs; and grazing of pure merinos and other breeds imported mainly from NSW. plank 70 + 11 +3 inches. Captain Goldsmith. This is perhaps the most valuable and important of the timber trees of Tasmania. Its principal habitat is in the south side of the island ; but it is also met with in the valley of the Apsley and at the Douglas River, on the East Coast, and it re-appears upon Flinder's Island, in Bass's Straits: its stronghold, however, is D'Entrecasteaux's Channel and along the south side of the island, whence it has been exported in various shapes within the last three years to the value of about £800.000. 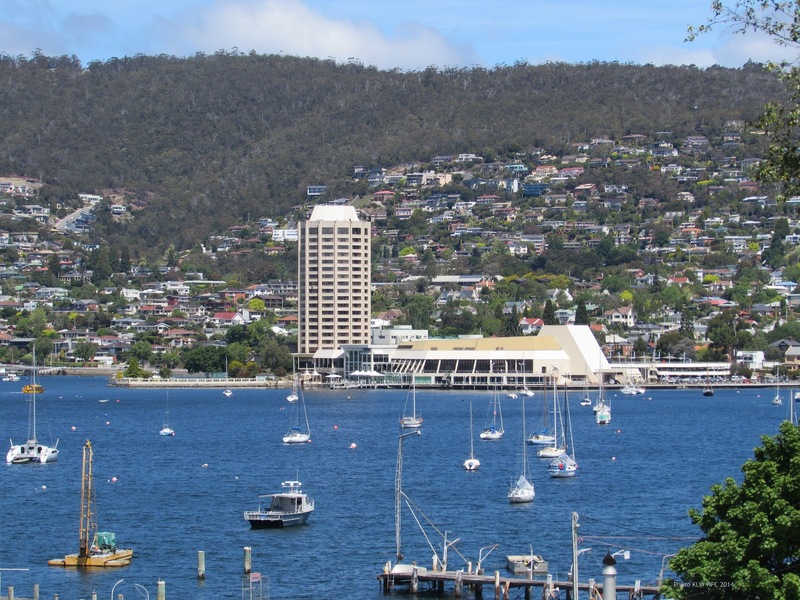 Within months of the lease of the 500 acres lot in the D'Entrecasteaux Channel areaa, Captain Goldsmith commenced the construction of a patent slip at his shipyard, another government lease located on the Derwent below the Queen's Domain, at Hobart. He had built the ferry steamer SS Kangaroo there, which was launched in 1854, but he began to encounter difficulties in procuring labour and timber for progressing the patent slip. 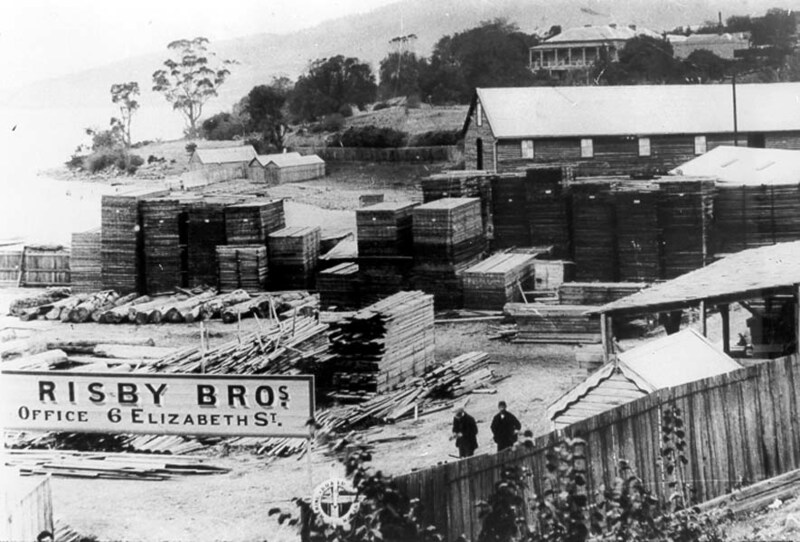 He sold the lease of the Domain shipyard to the McGregor brothers in 1855 who built a number of blue gum barques and clippers there from the 1850s through to the 1870s. Notes: Copy of earlier negative. 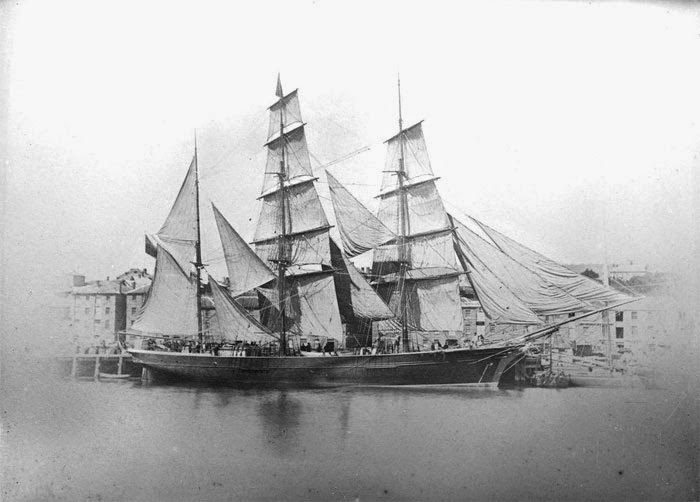 The Harriet McGregor, 332 tons, was built at the Domain shipyard by Alexander McGregor in 1871, and named after his wife, the former Harriet Bayley. It was the most renowned of the blue-gum clippers that made 24 voyages from Hobart to London and back as well as trading on intercolonial and Mauritian routes until sold in 1895 to Danish owners, renamed Water Queen, and destroyed soon after by fire at Rio. Once felling of native timber on his 500 acre lease had commenced, Captain Goldsmith could use the land, as was required by the regulations of the lease, to set sheep to graze. He had imported pure merino rams and ewes from England and NSW for wool growers such as Mr W. A. Bethune in 1847 to improve the local bloodlines. 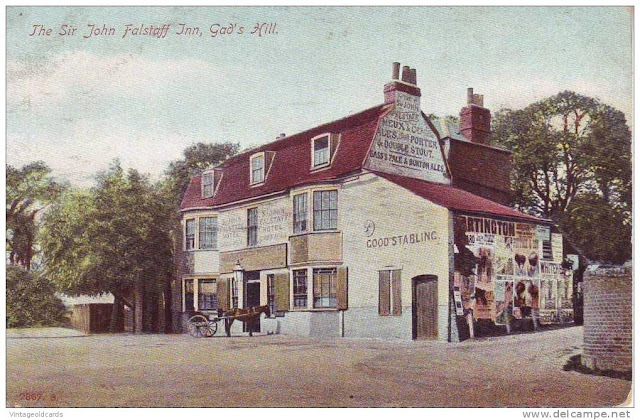 IMPORTATIONS.-We learnt that Captain Goldsmith has brought out in the Rattler, and landed in prime condition, for W. A. Bethune, Esq., a number of pure Merino rams and ewes, as a change of blood in this colony, and for the improvement of the fleece in fine wools. He has also succeeded in bringing into port in a flourishing and healthy state several varieties of new strawberries for T. Horne, Esq. ; new kinds of hops for Mr. Sharland; several cases of flowering shrubs and plants for Mr. Newman, of the Royal Botanical Gardens, another for E. P. Butler, Esq., and one, also, for Mr. F. Lipscombe. At his own expense Captain Goldsmith has imported upwards of one hundred varieties of plants and shrubs of the most approved sorts in the English nurseries; and, in accordance with his considerate attention on former visits to our port, has on this occasion not been unmindful of a desire to introduce to the colony additional objects of attention. Of these are white swans, so attractive in the sheets of water in park scenery; and pheasants and partridges, likely to become prolific in the bush of this colony, which is deemed well adapted to their nature and habits: so that, eventually, the " Old English Gentlemen" may once more enjoy their favourite sports, and the native youth become practically acquainted with the game which abounds in the rich domains of England. Examples of this kind are worthy of imitation by captains of colonial traders. The coastline of Captain Goldsmith's 500 acre lot provided easy access to the myriad reefs in the Channel which posed hazards to shipping. The narrow passage into the Channel on the left of Bruny Island, and the entry into the Derwent on the other side, the right of Bruny Island had caused many a shipwreck. 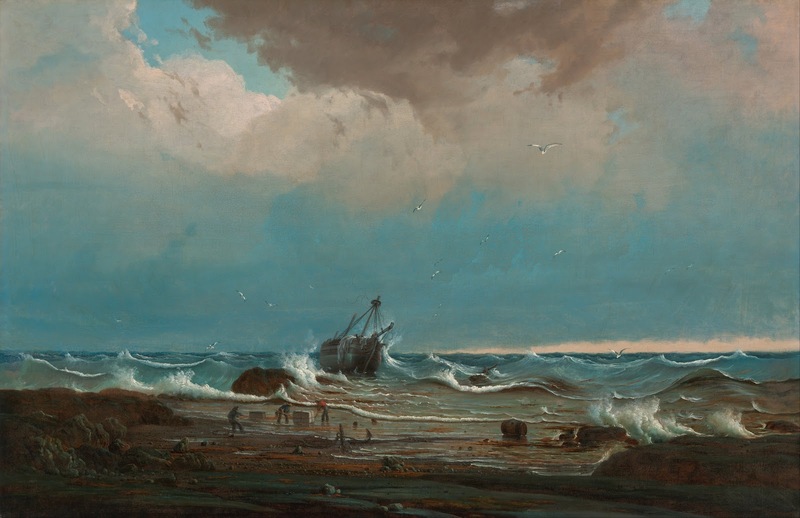 One of the worst shipwrecks in the Channel was the prisoner transport the George III in 1835. Captain Goldsmith imported a diving bell, suit and machinery in January 1855, having made use of equipment for prior salvaging from operators such as Frederick Maning, a neighbour in Davey St.
We have received from Captain M'Donald, of the Britomart, (but too late for insertion) a very particular account of the dangers existing in the entrance to D'Entrecasteaux Channel, and pointing out the error by which Mariners are led into the fatal mistake of, supposing what Horsburgh says of the two entrances) of the Strait of D'Eutrecasteaux, (meaning that in the Derwent for the N. and at Partridge Island, which he considers the other entry, for the S.) to refer to the passages on each side of the Aetaeon Islands, the South West of which passages is described by several authorities to be so interspersed with rocks, that no stranger can enter it with safety. Some of these dangers are particularly pointed out by the late Captain Wech. Captain M'Donald also states, that in the passage between the Maatsuyker's Islands and the Coast, which according to Flinder's Chart of 1709, and the sailing directions from the Hydrographical office of 1830 presents a clear passage of six miles) he discovered a rock about twenty feet long, nearly level with the surface of the water, lying N. N. E. by compass, about two miles distant from the largest and nearest Island of the Maatsuyker's Group. This rock is known to the whalers, but not laid down in any chart or book of directions. Physical description: 1 photographic print : b&w ; 80 x 132 mm. Summary: Monument to the "George III", a convict ship of 393 tons which foundered with considerable loss of life in the D'Entrecasteaux Channel, April 1835.
and 29 soldiers of the 50th Regiment. After 118 days, 16 dead, 60 had scurvy. resulting in the loss of 134 souls. 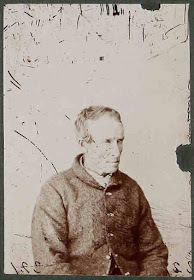 According to the Australian Dictionary of Biography's entry on James Lucas, he became a pilot stationed at Point Louis in the D'Entrecasteaux Channel from 1829 to 1853. His application for a land grant on Slopen Island was refused because the Land Board (no date given) considered farming might interfere with his important duties as a river pilot, but he later received 100 acres (40 ha) at Point Louis. When his lease at Port Louis was advertised by the Surveyor's Board in July 1853, however, the grant was much larger - 500 acres - and located next to the leases of 500 acres each granted to Captain Edward Goldsmith and Colonial Secretary Peter Gordon Fraser. Slopen Island out in the Channel was a source of seaweed which was made into a jelly and exhibited at the Paris Exposition of 1855, along with an example of blue gum timber exhibited by Captain Edward Goldsmith. Many names have undergone changes since colonial surveying. Slopen Island is one example. Mt Louis was sometimes written as Mt Lewis, and Pearson's Point as Pierson's Point. officers by D'Entrecasteaux, on his map. Source: The Mercury (Hobart, Tas. : 1860 - 1954) Sat 16 Sep 1911 Page 10 TASMANIAN NOMENCLATURE. James Lucas (1792?-1853), pilot, was born at Norfolk Island, the son of Lieutenant James Hunt Lucas of the 102nd Regiment. There is a tradition that at an early age he was enlisted as midshipman in the Porpoise under Matthew Flinders and was in that ship when it was wrecked on the east coast of Australia in August 1803. He served for three years in the Buffalo, two years as second officer and chief officer in the Kangaroo and then four years as chief officer in the Elk. 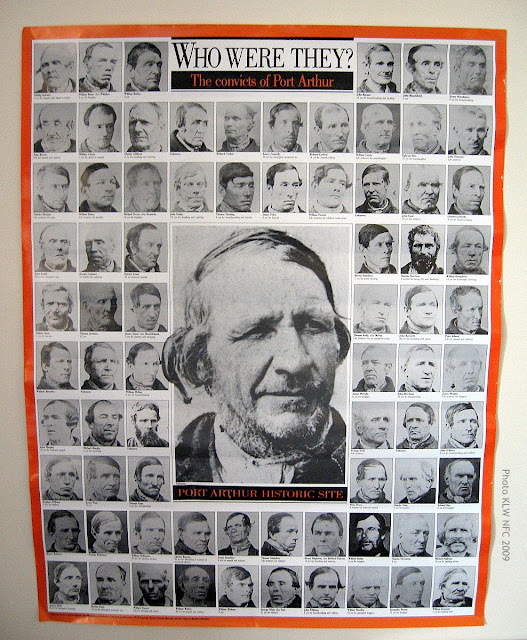 In 1821 he was appointed harbourmaster and pilot at the newly formed penal settlement at Macquarie Harbour, and soon earned the reputation of being attentive to his duty, active, vigilant, bold and resolute and a man with whom prisoners could take no liberty. 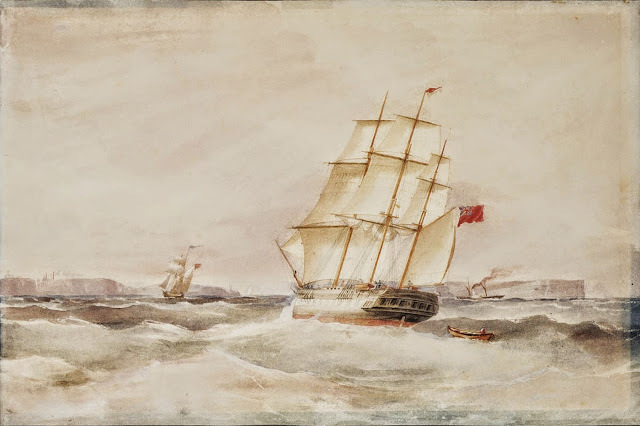 He was stationed at Cape Sorell and for eight years piloted across the shallow and treacherous entrance most vessels making for Macquarie Harbour. He was occasionally sent along the coast to search for escaping convicts and recaptured a number of them. At Cape Sorell on 21 July 1828 he was married by Rev. William Schofield, Wesleyan chaplain, to Margaret Keefe. His three children were baptized there. Next December, as he boarded the James Lucas, a small craft used to take supplies to the pilot station, the hatches were suddenly closed over him by convicts attempting to escape. He broke through the bulkhead and later captured two of the absconders near Circular Head. 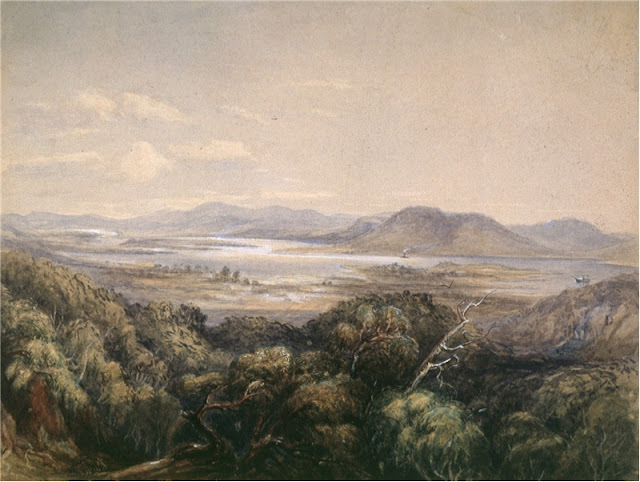 He applied for a less hazardous appointment and in November 1829 became a pilot at the Derwent, and was stationed at Point Louis in D'Entrecasteaux Channel. When he applied for land on Slopen Island he was refused by the Land Board on the ground that farming pursuits would be liable to divert a pilot's attention from his important public duties; later, however, he received 100 acres (40 ha) at Point Louis. 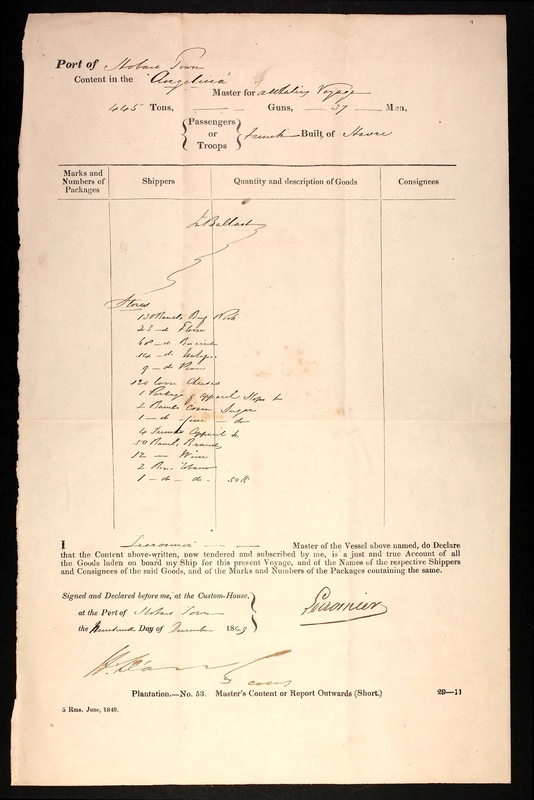 In August 1844 he boarded the Angelina [this ship's arrival was reported in the press as the Angelica, see note below], a ship carrying female convicts, was asked to produce his authority, but was not able to show his pilot's licence, which he seldom carried. Thereupon the captain abused him and, when Lucas showed resentment, lashed him to the rigging, and had the ship taken in by an unlicensed pilot. 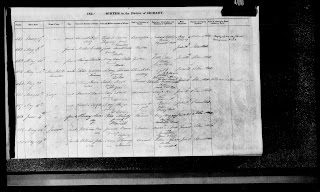 CSO 1/134/3237, 1/216/5209 and GO 33/78/1161 (Archives Office of Tasmania). 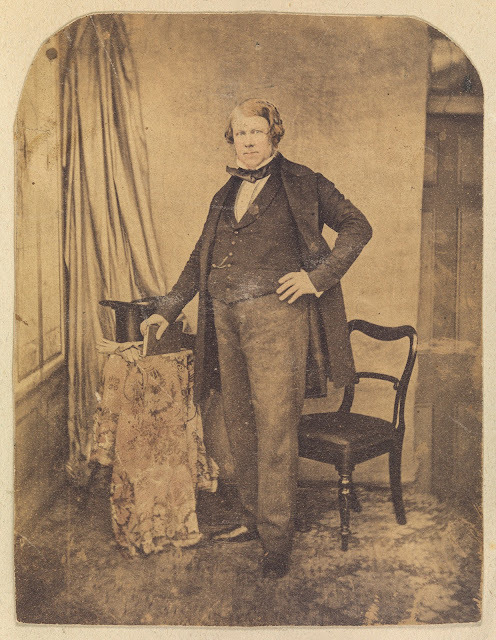 E. R. Pretyman, 'Lucas, James (1792–1853)', Australian Dictionary of Biography, National Centre of Biography, Australian National University, http://adb.anu.edu.au/biography/lucas-james-2379/text3131, published first in hardcopy 1967, accessed online 17 March 2017. Disgraceful Assault. — On Saturday afternoon, as the female prison-ship Angelica [sic - Angelina] was coming up the river, she was boarded by Mr. Lucas, our old and well-known pilot. Upon going on board, he was asked for his licence, the authority by which he acted. Mr. Lucas replied, that he had been in Government employment for thirty years, during twenty-three of which he had acted as pilot, and, with the exception of the present instance, he had only once before been asked such a question: besides, his boat bore the pilot-flag, with Mr. Lucas's name as a pilot; and, under these circumstances,Mr. Lucas did not think it necessary to carry his licence about him. To satisfy the captain, however, Mr. Lucas sent his boat ashore for the purpose of bringing back the 'authority.' During the boat's absence, the captain became impatient, and, refusing to wait, made a signal for another pilot, when Mr. Harburgh— who, we believe, has no licence —came on board, to whom the captain gave the command of the ship. In the meantime, words ensued between the gallant captain and the veteran pilot, which led to some violence on the part of the former, accompanied by the most insolent and opprobious abuse. This, Mr. Lucas very naturally and and properly resisted, when a tussle ensued, which resulted in our old friend being lashed to the rigging by the captain and his crew, in which situation he remained for some time, and, on being liberated, went ashore in Mr. Harburgh's boat. There could be no rational excuse for this unmanly, unseaman-like outrage, as the captain must have known Mr. Lucas,, having formerly visited the colony as mate on the ship John, also a prison-ship, we believe; while Mr. Lucas was also known to several or the crew. We shall, no doubt. have the full particulars in due time, as such an offence against the law, as well as against the person of Mr. Lucas, will not be suffered to pass unnoticed, nor, we hope, unpunished. These particulars, when they transpire, we shall report . Colonial Times, Aug 27th. Source: The Cornwall Chronicle (Launceston, Tas. 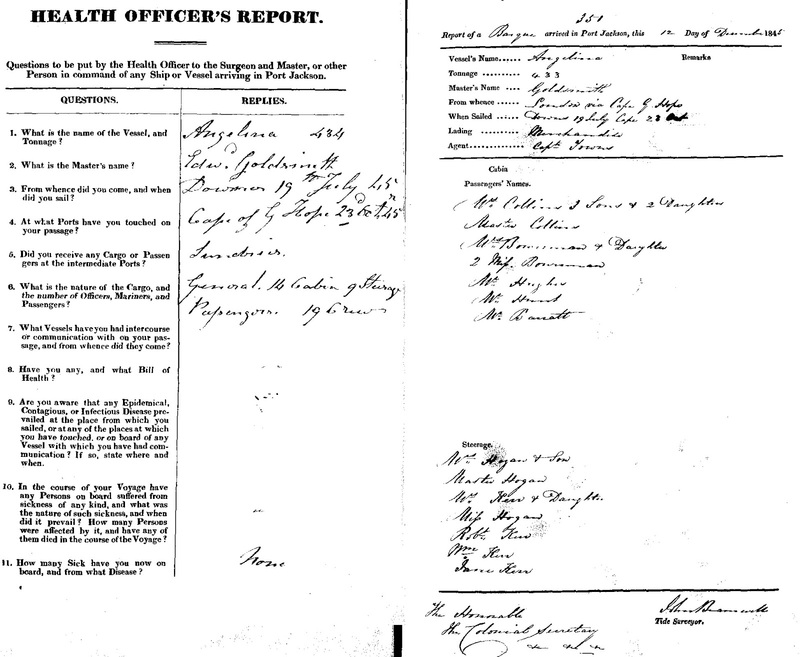 : 1835 - 1880) Sat 31 Aug 1844 Page 3 POLICE REPORT. The female prison transport the Angelina, owned by Joseph Somes (1787-1845) was sold on his death to Robert Brooks for the Australian wool trade. 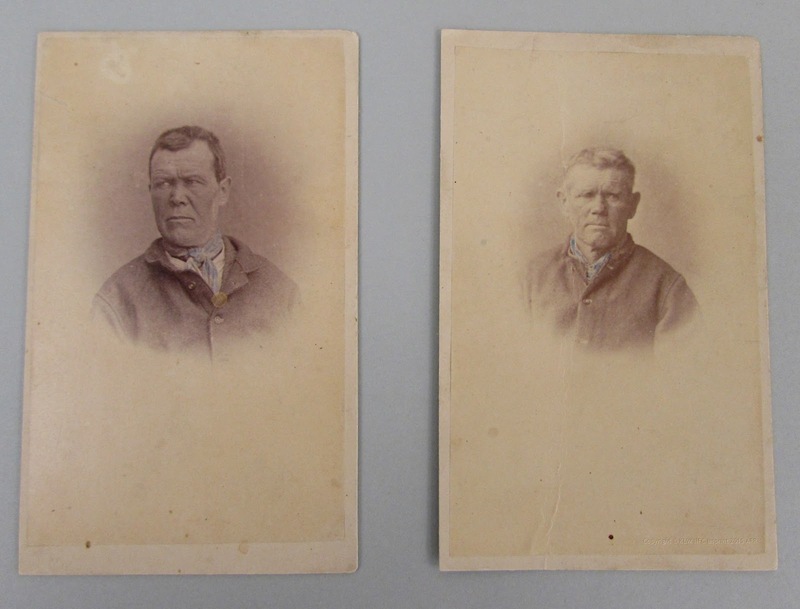 Within weeks of the purchase, Robert Brooks had engaged merchant mariner Captain Edward Goldsmith to command the Angelina to Port Jackson (Sydney NSW) with a cargo of luxury goods and emigrants. 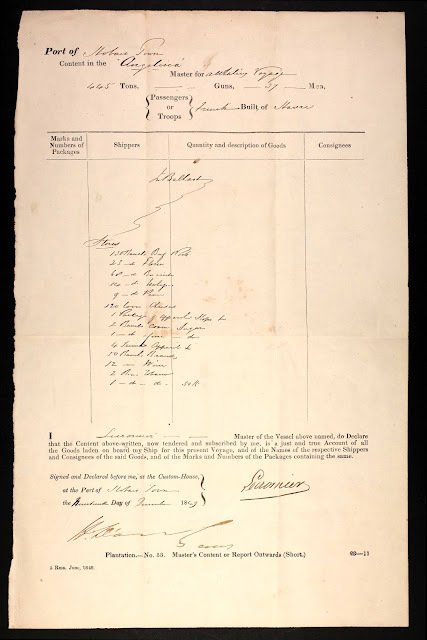 On 15th July 1845, Captain Goldsmith set sail from London with his eldest son, 15 yr old Richard Sydney Goldsmith (named after Edward's father Richard Goldsmith snr), indentured as an apprentice on the voyage. The Angelina (434 tons) arrived at Port Jackson via the Cape of Good Hope on 12th December 1845. Passengers numbered twenty-three (23), crew members and "various" which included 15 yr old apprentice Richard Goldsmith, numbered nineteen (19). 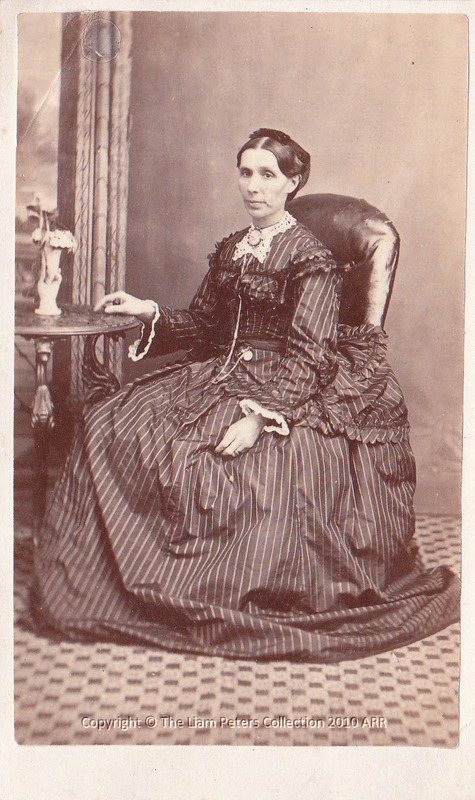 Part Colonial Secretary series covering 1845 - 1853, reels 1272 [4/5227] -1280 [4/5244]. On Captain Goldsmith's return voyage to London with a cargo of produce and 36 passengers, departing Sydney on 22nd February 1846, the Angelina was struck by an iceberg in the Southern Ocean, sustaining damage to the foredeck and losing the bowsprit. With makeshift repairs, Captain Goldsmith sailed the Angelina safely back past Portsmouth on the 4th July 1846. Barely twenty days back on shore in London, he was ready – and on this voyage so was his wife Elizabeth Goldsmith – to set sail again. 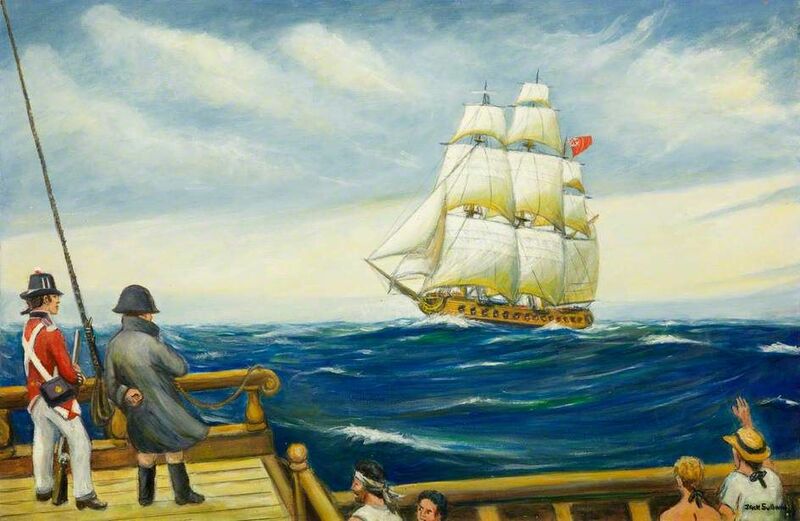 Captain Goldsmith took command of the barque Rattler, new off the stocks, which Robert Brooks had commissioned specifically for him, on 24th July 1846, his sights set once more for Van Diemen’s Land. Robert Brooks maintained the Angelina as a trader in the Pacific, carrying passengers and produce, e.g. tea, between Hong Kong, Singapore and Sydney. He disposed of the Angelina in 1850 (Broeze, Mr Brooks and the Australian Trade, 1993:150). 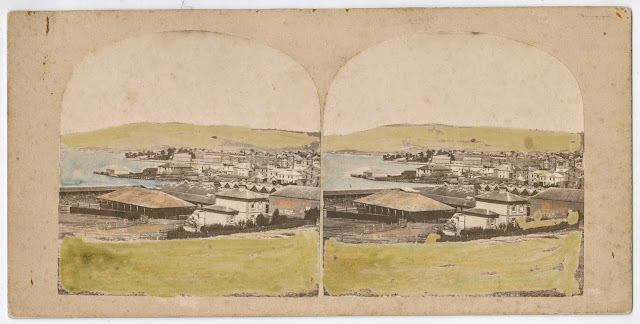 Looking south from Dawes Point past ships at Campbell’s wharf to Circular Quay, 1857? Title: Rapport / de M. Dutaillis. "Sur sa mission aux îles Mulgraves." "L'objet de l'exploration est la recherche d'une partie de l'équipage du baleinier l'Angélina." Detached from: Revue coloniale, mars et avril, 1849. 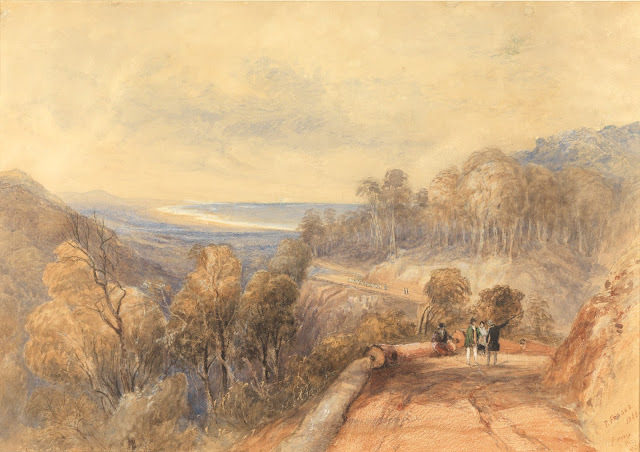 Peter Gordon Fraser is remembered more as an artist than as the Colonial Treasurer and Colonial Secretary in 1850s Tasmania. 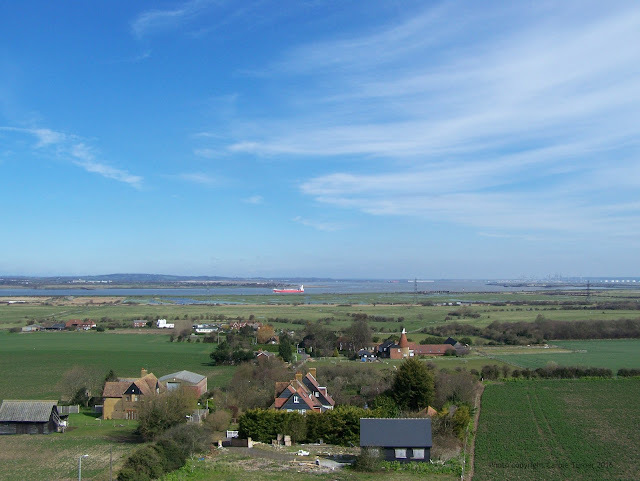 How he profited from his 500 lease of land in the Parish of Pedder, adjacent to the 500 acre lots leased to master mariner Captain Edward Goldsmith and Derwent pilot James Lucas is not known. Physical description: 1 painting : watercolour on paper ; 28 x 36 cm. Notes: Attributed to Peter Gordon Fraser. Exact measurements 273 x 357 mm. within mount. Framed behind glass. Glass loose in frame. A painting by P.G. Fraser, titled as above was in the Art Treasures Exhibition 1858, lent by Mr. Allport. Condition on accession: Dirt. Minor discolouring, foxing. Image support pasted to acidic card, which is staining. Appears to have had some conservation. 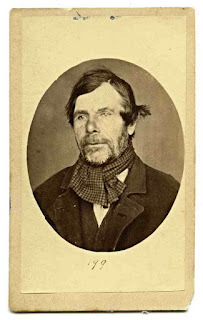 Peter Gordon Fraser (1808-1888), colonial treasurer, was born on 31 March 1808 in Scotland the fourth of thirteen children of Donald Fraser, minister of Kirkhill, and his wife Jane, née Gordon. 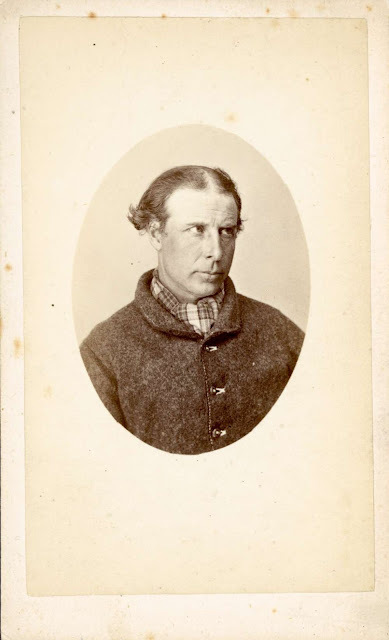 He joined the staff of the Colonial Office as a clerk about 1835, was appointed sheriff of Van Diemen's Land in 1838, arrived in the colony in May 1839, and took up duty next January. He was promoted colonial treasurer and collector of internal revenue in January 1843, thereby becoming a member of the Executive and Legislative Councils. 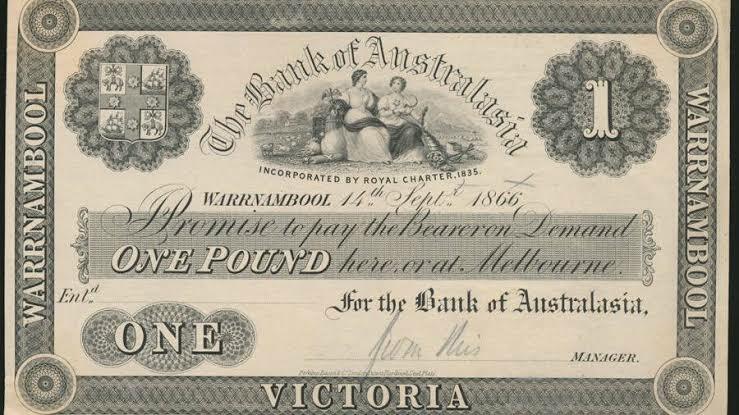 Apart from acting as colonial secretary in 1851-52, he remained colonial treasurer until responsible government in 1856. On retirement he was given a pension of £600 for life (18 Vic. no. 17). He had also served from time to time as commissioner of the Caveat Board. He returned to England on leave in 1847, partly to pay court to a lady he had met in the colony: Mary, second daughter of John Bisdee. 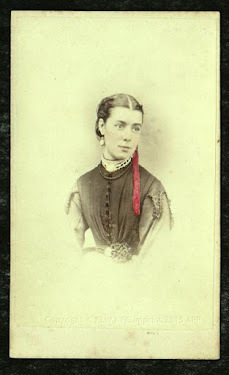 They were married at Hutton, Somerset, on 11 October 1848, just before their return to the colony; two sons and a daughter were born at Hobart. 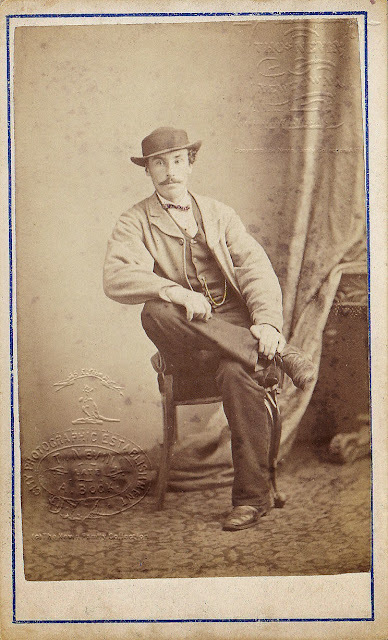 Fraser finally returned to England with his family in 1860 to settle in Somerset. 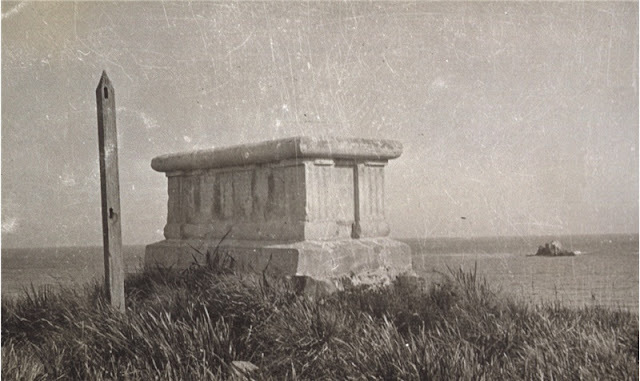 Though not in robust health, he survived another twenty-eight years, dying at Weston-super-Mare on 27 April 1888. 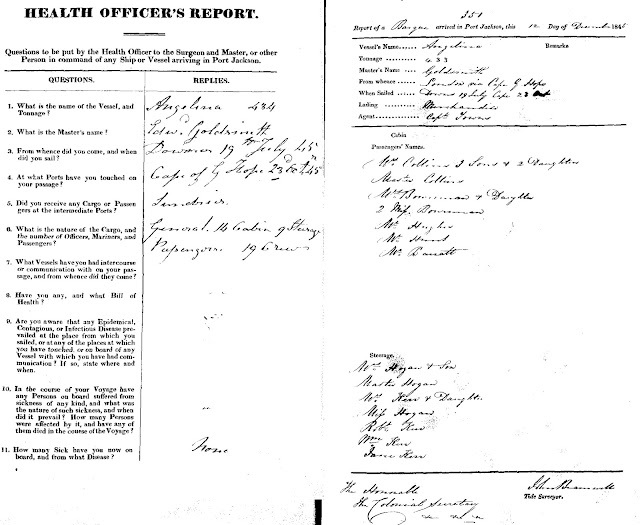 One son was then a medical practitioner at Totnes, Devon. Three things stand out about Fraser's life in Van Diemen's Land, two of them providing a rather unusual contrast: his unquestioned integrity and solid respectability on the one hand, and his self-abnegation and reluctance to accept responsibility on the other. The third feature of note was his enthusiasm as an amateur landscape painter. That Fraser could enjoy a relatively uneventful occupancy of the Treasury for some fourteen years and retire from it honourably was unusual for a period in which lapses of conduct by self-seeking officials so often led to dismissal. Lieutenant-Governor Sir William Denison praised his methodical and business-like habits, and noted that he had conducted himself to the satisfaction of all the governors under whom he had served. Yet his popularity was to a large extent a product of his retiring nature. 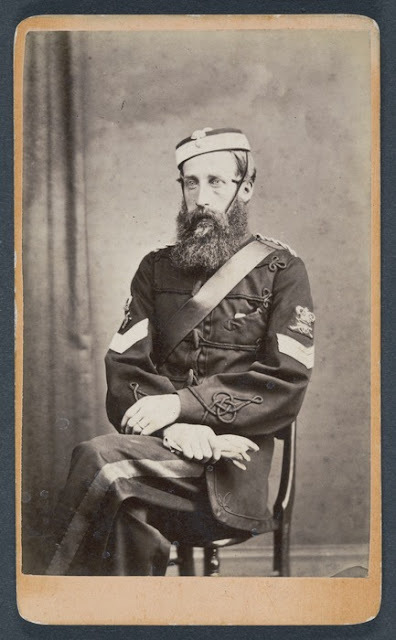 He had not even wanted promotion as treasurer, but felt unable to decline without giving offence to Sir John Franklin; he twice unhesitatingly vacated his seat on the Legislative Council to make way for other officials; and he refused the high office of colonial secretary. He did his job well but unimaginatively, and liked nothing better than to associate with the members of Hobart's lively artistic community. 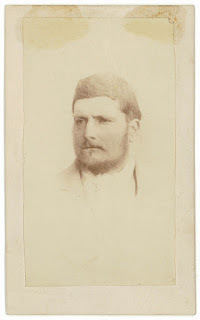 He was a frequent companion of John Skinner Prout and later of the colonial auditor, George Boyes, who had at first despised him for his 'want of energy and resolution'. 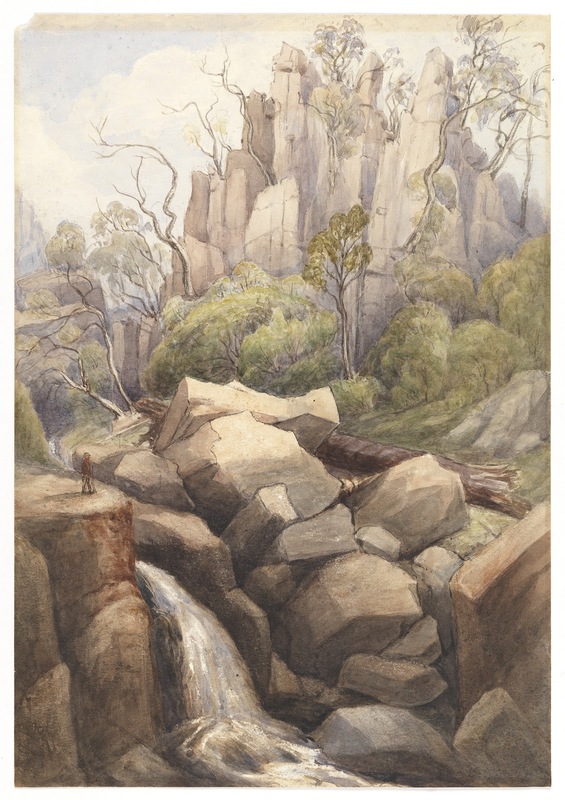 He was a leading member of the committee which organized Australia's first art exhibition in the Tasmanian Legislative Council chambers in January 1845, and he exhibited his own work at this and later exhibitions. 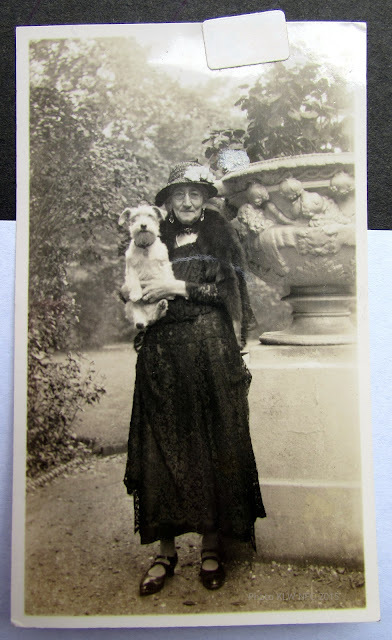 Some of his paintings, of historical interest if not artistic brilliance, are preserved at his wife's Tasmanian family seat, Hutton Park, Melton Mowbray. correspondence file under Fraser (Archives Office of Tasmania). 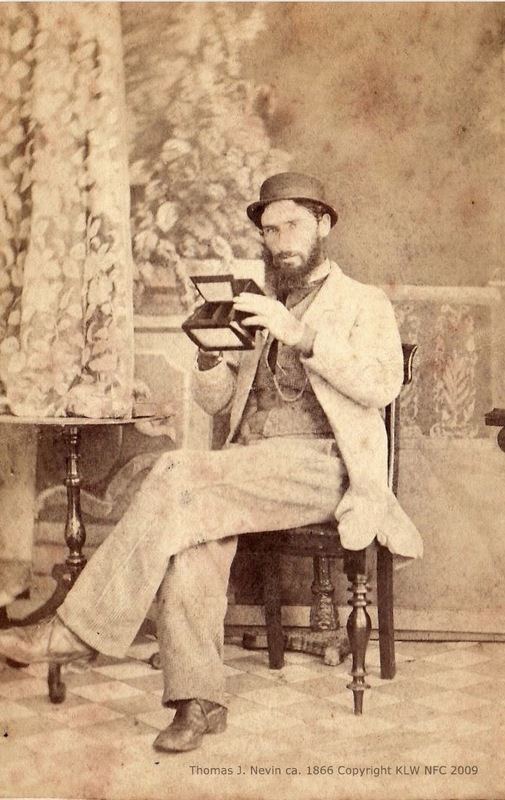 R. L. Wettenhall, 'Fraser, Peter Gordon (1808–1888)', Australian Dictionary of Biography, National Centre of Biography, Australian National University, http://adb.anu.edu.au/biography/fraser-peter-gordon-2067/text2577, published first in hardcopy 1966, accessed online 17 March 2017. 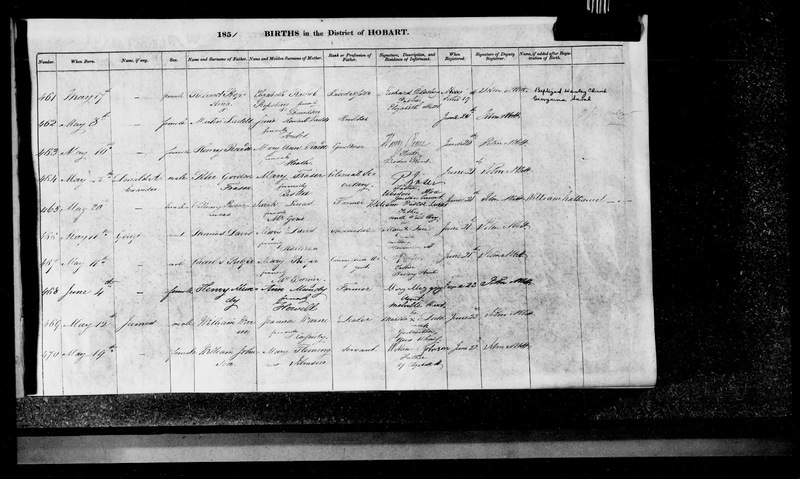 Three adults were counted as residents in the house of proprietor [Mrs?] Davidson at El Boden Place, South Hobart. who were between the ages of 21 and 45, and had arrived free to the colony: - a single male, a married male and a married female, plus a daughter under two years of age. 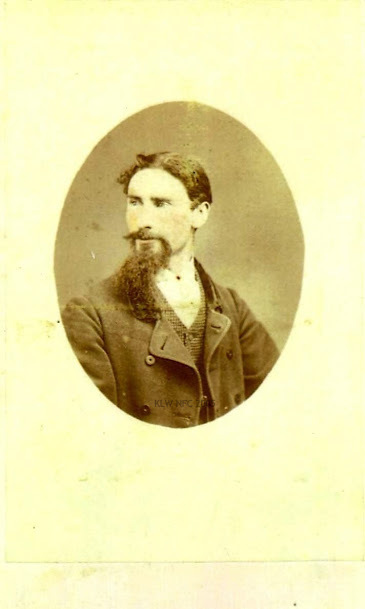 Peter Gordon Fraser did not marry Mary Bisdee until 1848, so he may have been the bachelor living with a couple and their child. There is an extensive history of this particular house - click here, devised by William Davidson's descendants. Peter Gordon Fraser gave his occupation on the birth registration of his son Donald Alexander Fraser on 15th May 1851 as the Colonial Secretary (signed P. Fraser reg, 21st June). 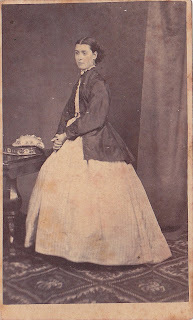 The child was born to Mary Bisdee his wife whom he married in 1848. 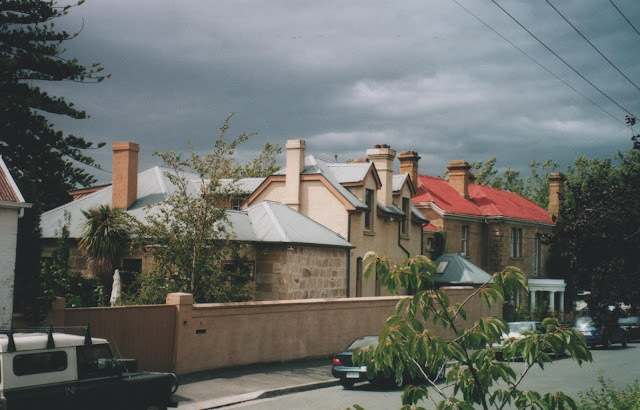 His home address was still El Boden Place, South Hobart where he had resided for nearly a decade, moving his wife and child into the Davidson house before settling finally into Davey St. Hobart. Whether his 500 acres leased from the Surveyor's Office in 1853 for the purpose of grazing remained in the family over many generations is not (yet) recorded by descendants. 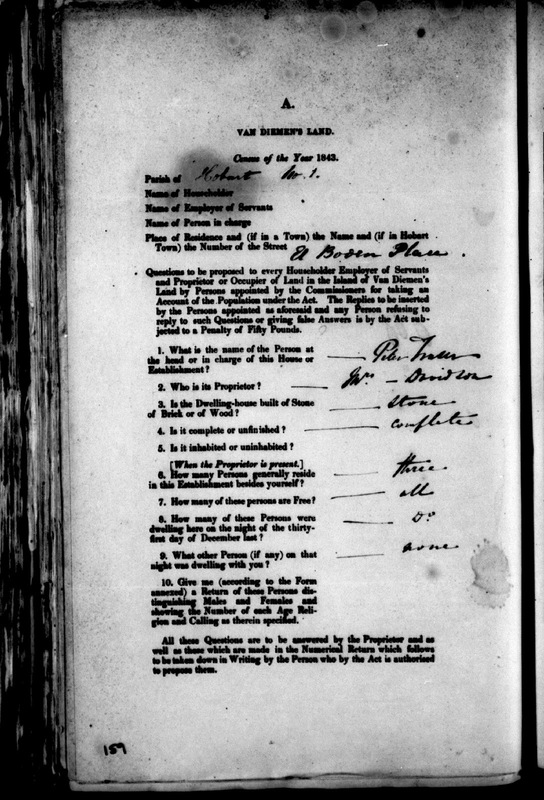 By 1853, with the birth of his second son Graeme Bisdee Fraser, Peter Gordon Fraser was the Colonial Treasurer, and resident of Davey St. Hobart and by the time his daughter Maude was born, his occupation was listed as "Gentleman". He retired from public service in 1856. Title: St. Mary's Pass V.D.L. P. Fraser. Author/Creator: Fraser, Peter Gordon, 1808-1888. Physical description: 1 painting : watercolour on paper ; 35 x 50 cm. Notes: Signed and dated lower right. Title inscribed in ink lower right. Framed behind glass. Condition on accession: Stains in sky area upper right along edge. Large stain above trees upper right. Frame in good order. Acidic(?) mount. 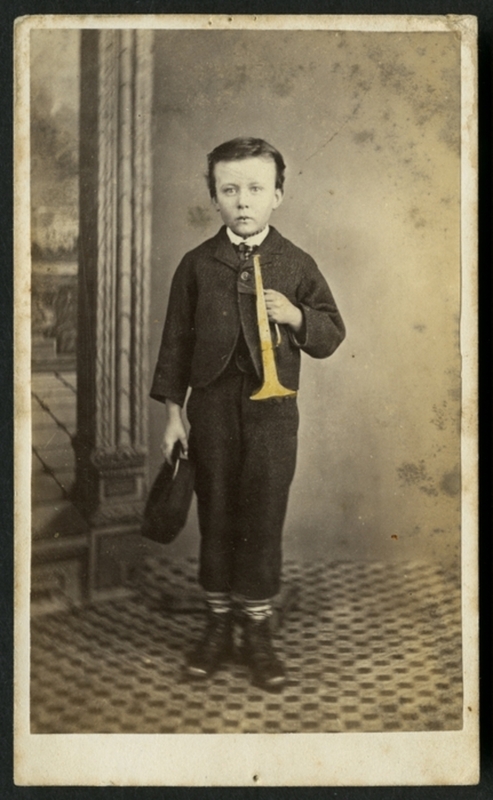 Online version of this image available. Title:[Mount Wellington and waterfall] Peter Fraser. Physical description:1 painting : watercolour on paper ; 33 x 23 cm.